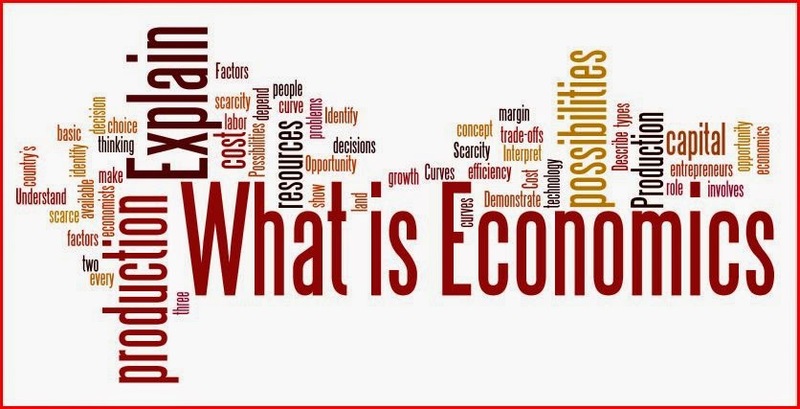 Home » Economics » What Is Economics and What Economist Often Say? What Is Economics and What Economist Often Say? ECONOMICS DEFINITION: What is Economics? Thomas Carlyle, Scottish writer, essayist and historian describes economics as "the dismal science." Inspired by T. R. Malthus' gloomy prediction that population would always grow faster than food, which will doom mankind to a never ending poverty. In other simpler terms, "Economics is what economists do" according to Jacob Viner, a Canadian economist and one of the mentors of the early Chicago School of Economics. Economics concerns itself with the use of resources. It is about changes in production and distribution over time. It is about the efficiency of the systems that control production and distribution. It is, in a word, about wealth. Economics can also be defined as the study of the production and consumption of goods and the transfer of wealth to produce and obtain those goods. The study of complicated tables and charts, statistics and numbers, but, more specifically, it is the study of what constitutes rational human behavior in the effort of fulfilling needs and wants. Where once rulers relied on oracles to predict the future, today they use economists. Virtually every elected official, every political candidate, has a favorite economist to forecast economic benefits pinned to that official's or candidate's views. ECONOMIC TERMS: What Economist Often Say? CETERIS PARIBUS: Economists love to analyze complicated situations that normally involve large number of variables by changing one and holding the rest as constants. This enables them to do two things: firstly, focus on the significance of that one particular element, and secondly, prove that a pet theory is correct. "Ceteris paribus" is the magic phrase they mutter while doing this. It means, literally, "Other things being equal." 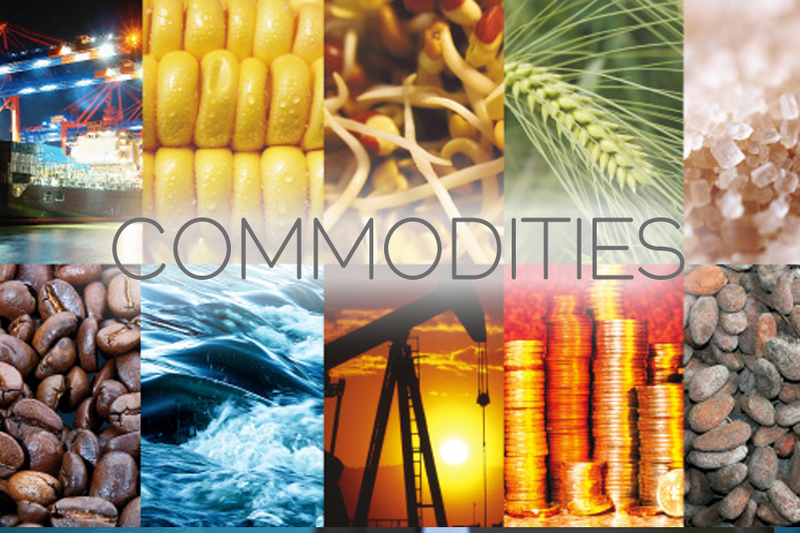 COMMODITIES: Commodities generally fall into two categories: goods, which are tangible, and services, which are not. An easy way to remember this distinction: These days, goods are Chinese and services are American; they make textiles, we make lawyers. CONSUMPTION AND PRODUCTION: Consumption is what happens when you actually use commodities; production is what happens when you make them. EXTERNALITIES: Effects or consequences felt outside the closed world of production and consumption—in other words, things like pollution. Economists keep their own world tidy by labeling these messes "externalities," then banishing them. FACTORS OF PRODUCTION: Ordinary people talk about resources, the things— like land, labor, or capital—used to make or provide other things. Economists talk about factors of production. FREE-MARKET ECONOMY vs. PLANNED ECONOMY: In the former, decisions made by households and businesses, rather than by the government, determine how resources are used. Vice versa and you've got the latter. A free-market economy is normally associated with the good guys, while a planned economy is associated with the bad guys. 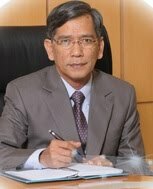 GROSS NATIONAL PRODUCT (GNP) vs. GROSS DOMESTIC PRODUCT (GDP): GNP is a dollar amount (in the United States, an enormous one) that represents the total value of everything produced in a national economy in a year. If the number goes up from year to year, the economy is growing; divide that number by the number of people living in the country and you get per capita income. An alternative measure, GDP, leaves out foreign investment and foreign trade and limits the measure of production to the flow of goods and services within the country itself. As a result, some economists believe it affords a more accurate basis for nation to-nation comparisons. Either way, GNP or GDP, the basic idea is that more is better. HUMAN CAPITAL: In the world of economics, human capital refers to the investments that businesses make in their workers, such as training and education, or, more broadly, to the assets of the firm represented by the workers and their skills. INDIFFERENCE CURVE: This shows all the varying combined amounts of two commodities that a household would find equally satisfactory. For example, if you're used to having ten units of peanut butter and fifteen of jelly on your sandwich, and you lose five units of the peanut butter while gaining five of the jelly, and the new sandwich tastes just as good to you as the old one, you've located one point on an indifference curve. INFLATION: most simply understood as a rise in the average level of all prices. Getting the definition down is one thing; getting the rate of inflation down once it has started to levitate is another. LAISSEZ-FAIRE: It seems that whenever economists want to describe an imaginary world, they turn to a foreign language (see "ceteris paribus," above, or try to read the Annual Report of the Council of Economic Advisors to the President). Literally translated "let do," this phrase invokes the notion of an economy totally free of government intervention, one in which the forces of the marketplace are allowed to operate freely and where the choices driving supply and demand, consumption and production are arrived at naturally, or "purely." A kind of economic fantasyland”. MACROECONOMICS vs. MICROECONOMICS: Further evidence of the tendency of economists to see things in pairs. Here, "macro" is the side of economics that looks at the big picture, at such things as total output, total employment, and so on. 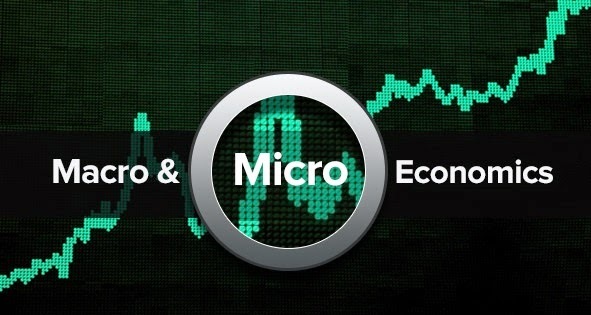 "Micro" looks at the small picture, the way specific resources are used by firms or households or the way income is distributed in response to particular price changes or government policies. One problem economists don't like to talk about is the difficulty they have in getting the two views to fit together well enough to have any practical application. MARKET FAILURE: This is one of a number of terms that economists use to put down the real world. Here's the way it works: When things don't go the way economists want them to, based on the laissez-faire system (see above), the outcome is explained as the result of a "market failure." That way, it's not the economists' fault—they had it right, it's the market that got it wrong. MIXED ECONOMY: Another term for economic reality, the "mixed economy" is the middle ground between the free market (the good guys) and the planned economy (the bad guys). When you look around a country like the United States and see the government manipulating the price and availability of money and energy, legislating a minimum wage, and so on, you have to conclude that ours is not really a free market. But neither is it a centrally planned economy. Grudgingly, economists have decided that what it is is a mixed economy, a kind of economic purgatory they will have to endure while they pray for ascension to the free market. OPPORTUNITY COSTS: The idea behind the old line "I could've had a V8." In economics, there is a cost to using your resources (time, money) in one way rather than another (which represented another opportunity). Think of it this way: There is an opportunity cost associated with your studying economics instead of a really useful subject like podiatry. PRODUCTIVITY: Another of the big words in the field, productivity, simply defined, is a measure of the relationship between the amount of the output and that of the input. For example, when you were in college, if it took you two days (input) to write your term paper (output) and it took your roommate one day to hire someone to write his term paper, your roomie's productivity was twice yours—and he probably got a better grade. PROFIT: To get a firm grasp of profit and its counterpart, loss, you might consider the biblical quotation, "What does it profit a man if he gain the world but lose his soul?" For an economist, the correct way to answer this question would be to calculate the revenues received from gaining the world and subtract the costs incurred by losing one's soul. If the difference (known as "the bottom line") is a positive number, you have a profit. SUPPLY AND DEMAND: Supply is the amount of anything that someone wants to sell at any particular price; demand is the amount that someone wants to buy at any particular price. Economists have a lot of fun making you guess what happens to the relationship between supply and demand when the amounts or the prices change. VALUE ADDED: A real comer in the world of economics, the value added is a measure of the difference of the value of the inputs into an operation and the value of the product the operation yields. For example, when Superman takes a lump of coal and compresses it in his hands, applying superforce to turn the coal into a perfect diamond, the value added, represented by Superman's applied strength, is significant. The term explains how wealth is created; it's also what people use to justify all those hours they put in on the super pullover machine. VALUE-ADDED TAX: Like the name says, a tax on the value added. At each stage of the value-added chain, the buyer pays, and the seller collects, a tax based on the value of the services added at that stage. The tax is rebated on exports and paid on imports. The VAT is a lot like a sales tax in that it's a tax on consumption (as opposed to income) and the consumer pays in the end, but it's less direct. All Western European countries have it, but in the United States the mere mention of a possible VAT, which does tend to hit the poor harder than the rich, is considered grounds for lynching the nearest politician.